A. S. Twombly : Surf Riding in Hawaii, 1899. Hawaii and Its People - The Land of Rainbow and Palm. A Series of Geographical Readers, Book IX. Silver, Burdett & Co., 1899, New York, 1899. In an author's note (reproduced), Twombly notes that "he has used material used material from the best authorities", and the brief account of surfriding is clearly a composite of several authors and adds no new material. In Part 1, Ancient Hawaii and Folklore, reproduces the story of "Kelea the Surf Rider" as Chapter V and some of the other ancient legends have surfing references. These are not reproduced here. Twombly also published Kelea: The Surf-rider, a Romance of Pagan Hawaii. Fords, Howard, and Hulbert, New York, 1900. While unaccredited, a large portion of the numerous photographs are the work of James J. Williams. He began the monthly tourist magazine Paradise of the Pacific in 1888, and served as business manager with editor Frank Godfrey until 1893. It was founded with a royal charter from King Kalakaua, who was one of Williams' photographic subjects. i. Surf Board Rider, page 40. The identifier number is 6051, and the catalogue notes "Same as Davey photo 3343," discussed below at (iii). Unfortunately, the image is not dated. "Photographs from a collection of albumin prints by James J. Williams (1853–1926) acquired by the Hawaiian Historical Society in May 2002. Williams was active as a photographer in Hawai'i from 1879 to 1926. He was one of many photographers who opened a studio or gallery in Honolulu. By 1890, approximately sixty photographers worked in the Islands, twenty in Honolulu." 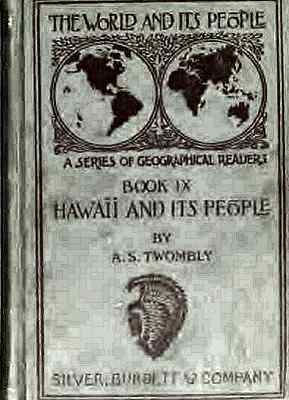 The image has been extensively reprinted, notably as the cover image for Tim DeLaVega's Surfing in Hawaii: 1788-1930 (2011). "ON THE COVER: A surfer in a malo (loincloth) poses with his surfboard around 1893. This iconic photograph was one of the most popular images published around the end of the 19th century. The surfer may be Charles Kauha, who also posed for the Frank Davey photograph on page 32. Waikiki at this time was a sleepy bay unprepared for the coming century of change. Presumably, the date of "around 1893" is based on the publication of the image in Paradise of the Pacific around this time and during the period when Williams was the magazine's business manager. "This photo was taken by by James J. Williams, the famous Honolulu photographer who did many of the early surfing images, friend of King Kalakaua, Robert Lewis Stevenson and established "Paradise of the Pacific" magazine, 1888, presently Honolulu Magazine. Discovery thanks to Spencer Croul." In both images (Williams, 1893 and Davey, 1889) the location, surfboard, and pose are similar, but not identical. Both surfers are dressed in a traditional malo, which was probably no longer in general use by this time. It was probably added as a prop to enhance the "traditional native" element, deemed to be attractive to visiting tourists. Twelve months after publication in Twomby (1899), the photograph was reprinted in John L. Stevens and W. B. Oleson's Riches and Marvels of Hawaii in 1900, the title page noting the book is "Profusely Enriched with Rare and Beautiful Photographs by Miss Nellie M. Stevens." 2. Diamond Head, page 40. Whereas DeLaVega notes that "Davey photographed Charles Kauha in 1898 in numerous poses, but none are of Kauha surfing," this may not be the case for Williams' Surf Rider with Board (1893). It is possible that he is the same the surfer riding prone in the photograph titled Diamond Head, where the the camera's perspective is identical. The images were possibly shot on the same day, although there is considerable more swell evident in Diamond Head. The apparent length of the board may be exaggerated by the rider laying at the tail, his legs trailing in the wave. 3. "Same as Davey photo 3343"
The image specified is not easily locatable in the HHSHPC website. Titled "Native with Surf Board, Honolulu, H.I.," it is described and dated as "An unidentified Hawaiian surfer poses for photographer Frank Davey in Waikiki circa 1899." There is no identifier number. As previous noted, although there are strong similarities, it is not the same image as Williams' Surf Rider with Board (1893). 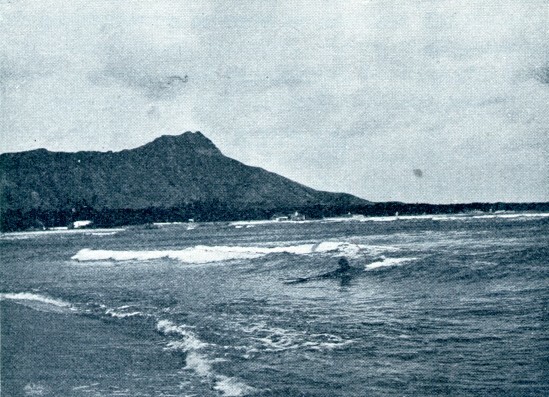 The photograph was printed as the frontpiece of Charles Warren Stoddard's A Trip to Hawaii (1901) and later reproduced in Tim DeLaVega's Surfing in Hawaii (2011) on page 32. "CHARLES KAURA AND HIS &ALlA SURFBOARD, APRIL 1898. London-born Frank Davey photographed Charles Kauha in 1898 in numerous poses, but none are of Kauha surfing. Davey was very prolific, although Davey only documented Hawai'i from 1897 to 1901. The one on this book's cover is found on an Island Curio Store undivided-back postcard made between 1901 and 1907. During this time, the undivided back was for the address only, allowing no place on the card card for a message. People of course started writing messages all over the postcards, which caused the government in 1907 to establish divided-back postcards so senders could write the back next to the address. (Above, courtesy Hawai'ian State Archives; below Dan Pincetitch.)" 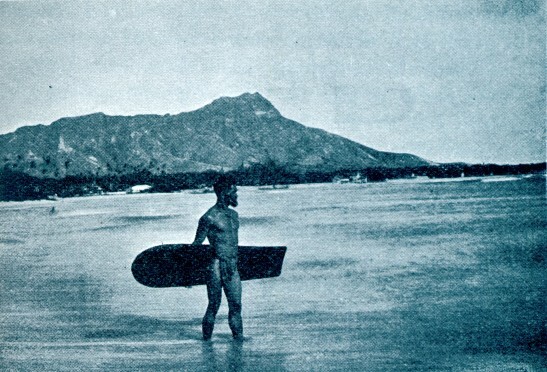 Charles Kaura and his Alia appears as stock number 9 in Frank Davey's personal photograph album, titled as Native with Surfboard, Honolulu, H.I. In addition, number 12 shows two natives and a beached outrigger canoe at Waikiki with a pier and bath-house in the backgound, titled Surf Boat of the Native, Honolulu, H.I. Unusually, the perspective is away from Diamond Head and one canoe surfer, to the left, bears some resemblance to Charles Kaura. Number 248 illustrates two natives surfriding in an outrigger canoe with Diamond head in the background, titled Surf Riding, Waikiki, Honolulu, H.I. The outrigger canoe and its riders appear to be the same as shown in number 12. This later is probbaly one of two postal cards exhibited by Davey in Paris in 1900, where he received awards for "artistically colored pictures of surf riding and the lei women." - The Hawaiian Gazette, Honolulu, October 12, 1900, page 4. Davey's personal collection is bound in leather and bears a hand written title and date, The Hawaiian Islands, April 1898. Most illustrations have printed stock number, title, and accreditation to Davey Photo Co. H.I. Some titles are written by hand, and some are signed F. Davey, H.I. in pencil. The vendor, on careful examination, concluded the the images are hand tinted water colours, processed from photographs. It is suggested that the photographs were "transfered to art paper, lightened to a point where they were no longer photos," and then hand painted with water colours using "the faint outline" as a guide. However, "faint outlines can not be seen." Frank Davey (1860 - ) began his career as an illustrator and photographer in London, following "the able instruction of his father, William Turner Davey, a member of the Royal Academy and one of the best known historical engravers of London." After working for Henry Van Der Weyde, he left England in 1880 and worked for M. Walery in Paris and Napoleon Sarony in New York, before taking a position at I. W.Taber's studio in San Francisco, circa 1886. In 1896 Davey toured the Orient, including Japan and China, before arriving in Honolulu on the Australia on the 5th January 1897. - The Hawaiian Gazette Honolulu, September 20, 1904, page 2. - The Hawaiian Star, January 5, 1897, page 8. His journey across the Pacific was possibly inspired by Taber's six-week photographic trip to the Hawaiian Islands in 1880, where he photographed, among other subjects, the Hawaiian King Kalakaua, completing a commission of three full-length portraits. Taber's San Francisco studio, gallery, and negative collection were destroyed in the 1906 San Francisco earthquake, ending his photographic career. Davey opened a richly furnished studio, with an "electric elevator" to the upper floors, in theMott-Smith building, near Fort Street, in Honolu on 31st August 1897. The first floor reception room contained albums of Island views and some sample portraits by Mr. Davey, including Lady Randolph Churchill, Stanley, and Gen. Lew Wallace. The press reported that Davey, besides being a photographer, was "a cartoonist of note in London, and his scrap-book contains many interesting newspaper reproductions of his pencil work." In addition, he was experienced in "bas-relief, mezzotint and iridium effects, which are superior to any others made." - The Hawaiian Gazette, Honolulu, August 31, 1897, page 5. In January 1904, Davey was still a resident of Honolulu, listed as a juror for the Hilo term of Federal Court, and in February, after going into receivership, all the negatives, prints, material, photo graphic stock, good will, and the lease of the Davey Company were purchased by the rival studio of Rice & Perkins. - Hilo Tribune, Hawaii, January 1, 1904, page 3. - The Hawaiian Star, Honolulu, February 9, 1904, page 8. 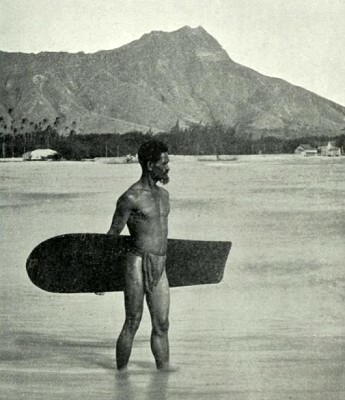 That year, Rice and Perkins supplied several surf riding photographs for Emma Nakuina's Hawaii, Its People and Their Legends (1904). By late 1904, Davey had left Honolulu and relocated to San Jose, California, where he formed at partnership with Andrew P. Hill. will also be interesting to older people. He has used material from the best authorities, including Fornander, Alexander, Ellis, Jarves, and Dibble, also personal information from Hawaiian and other sources.
" The Legends and Myths of Hawaii," collected by the late King Kalakaua, furnished an attractive style for some of the " Folklore " incorporated in this book. He also acknowledges his obligation to Hon. Gorham D. Oilman of Newton, Massachusetts, for the use of his Hawaiian library, the largest private collection of Hawaiian books and pamphlets in this country. To offset these terrors for the dead and the living, there were, of course, some better things in life. There were games, especially when a temple was dedicated or a victory gained. The men had wrestling matches and contests with spears or with rude sleds, on which they slid down the steep hills. Men and women contended in surf riding, either in canoes or on surf boards. This was a pastime in which the Hawaiians excelled. The swimmers took a board of light wood, about eight feet long and eighteen inches wide, stained black and highly polished. Then, lying flat on the board, they balanced themselves upon the forward slope of the highest breaker and rode with the speed of a race horse to the shore. Sometimes they stood up on the board and balanced themselves with great skill, using a paddle or a pole. The women, even some from the chiefs' families, were often as expert in this sport as the men. Prone surf rider in the shore break, note the length of the board. This almost certainly the same surfer and board in the photograph on page 35, where the the camera's perspective is identical. Geoff Cater (2012-2013) : A. S. Twombly : Hawaii and Its People, 1899.